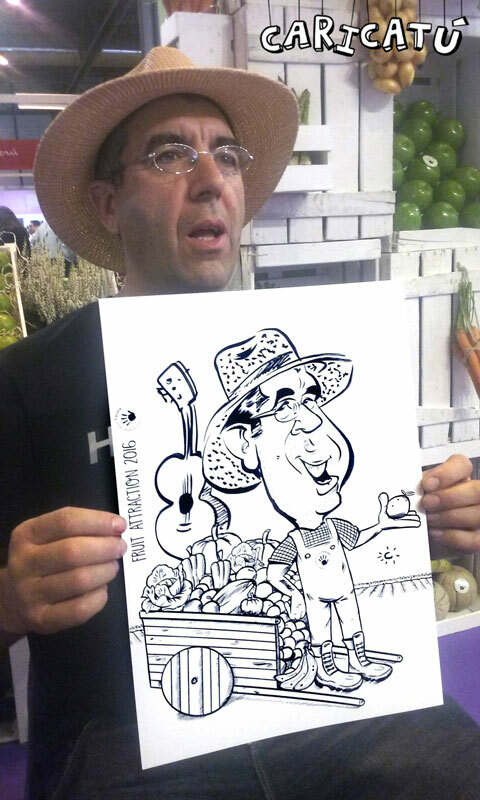 Customized gifts for your guests and customers. 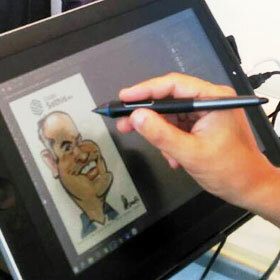 With instantly printing, projection screen and use in social networks. 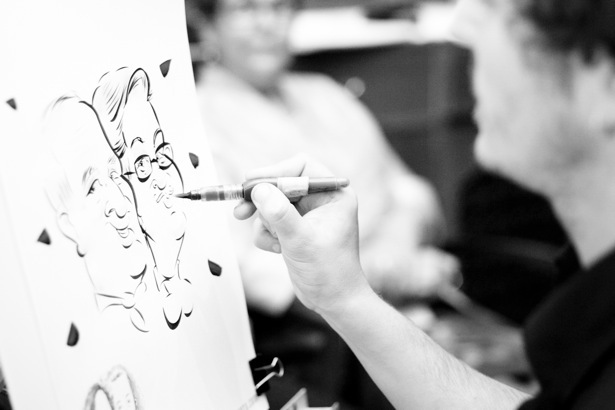 The most special artistic animation to your wedding. 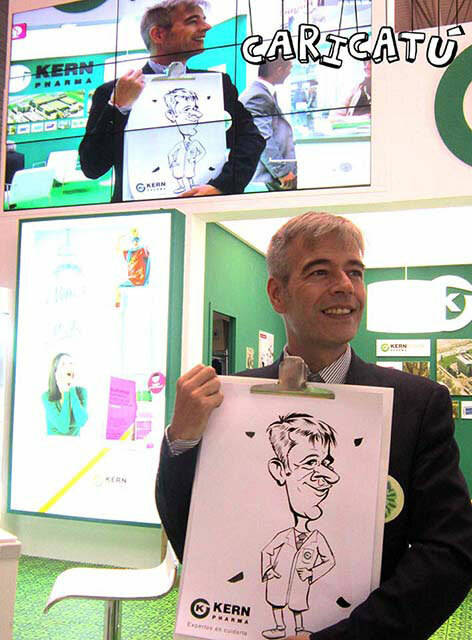 Call effect to the public drawn to your stand looking for his free corporate caricature. 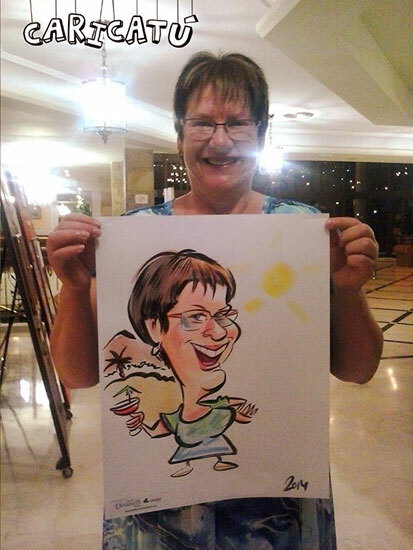 Your logo, image and references on a drawing sheet along with the caricature. 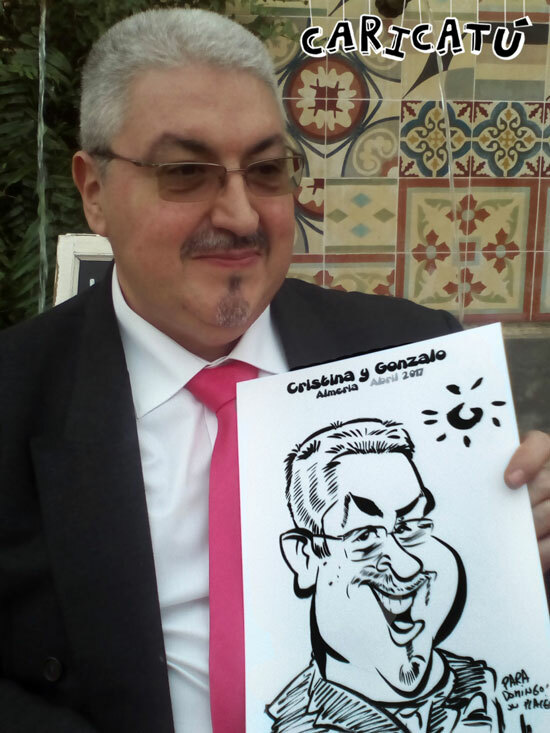 Caricatures, graphic humor, cartoon, press illustration... We've got the best profesionals. 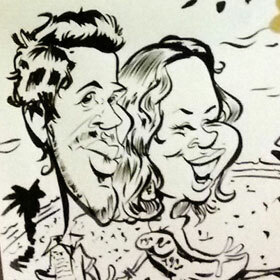 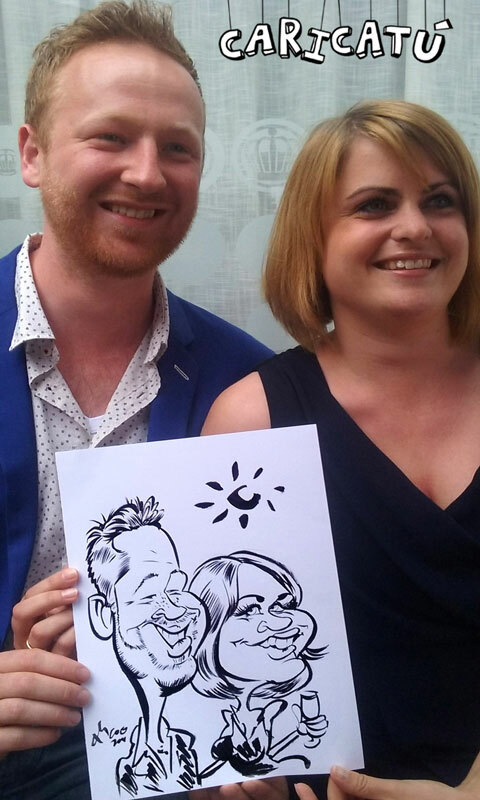 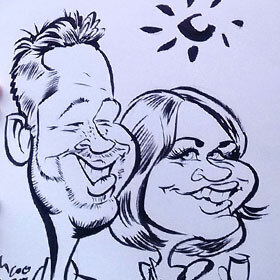 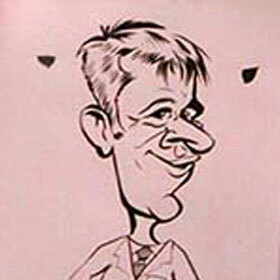 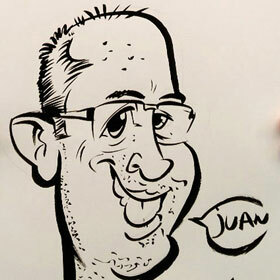 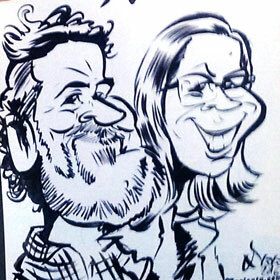 More than 10 years of experience doing live caricatures for weddings, celebrations and corporate events. 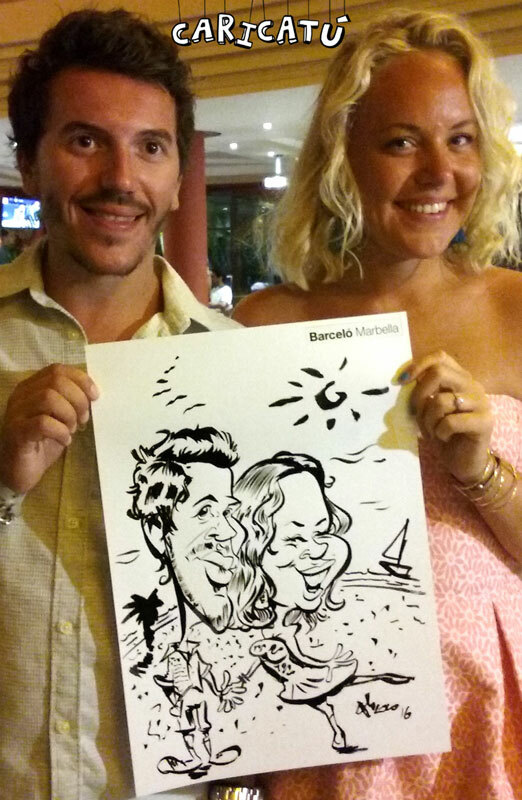 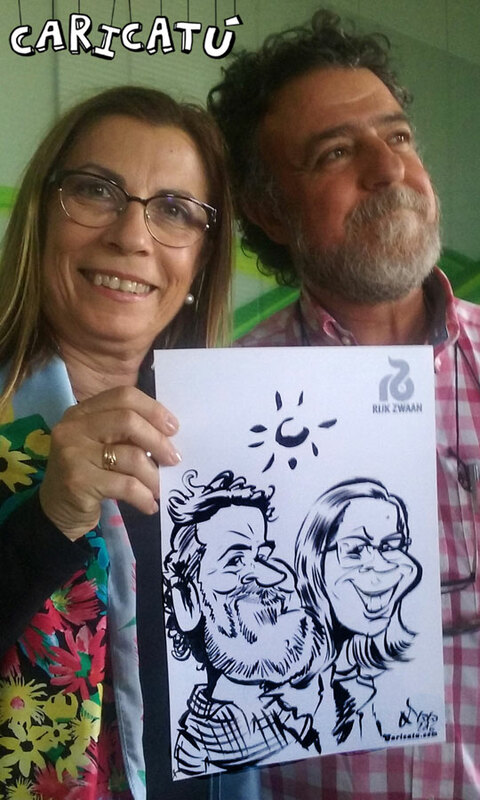 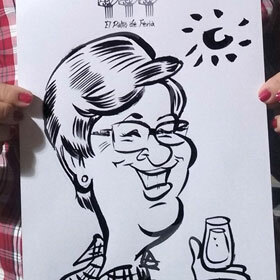 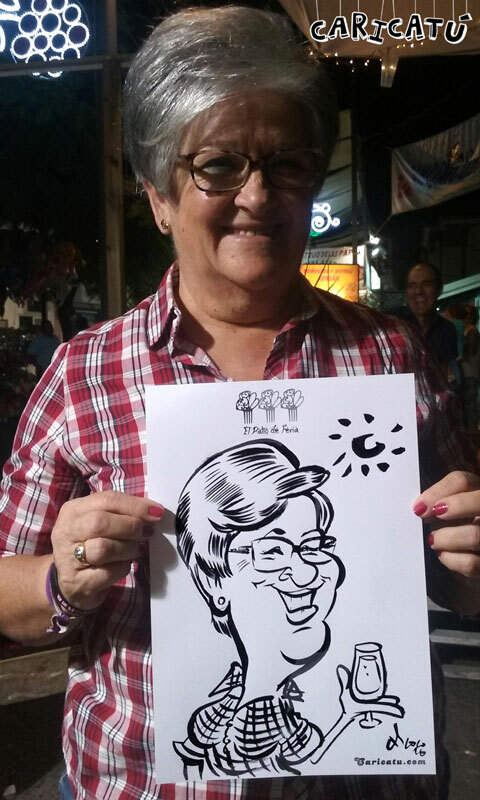 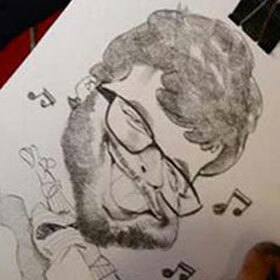 The magic of Caricatú give a touch of humor to your event with a custom artistic gift. 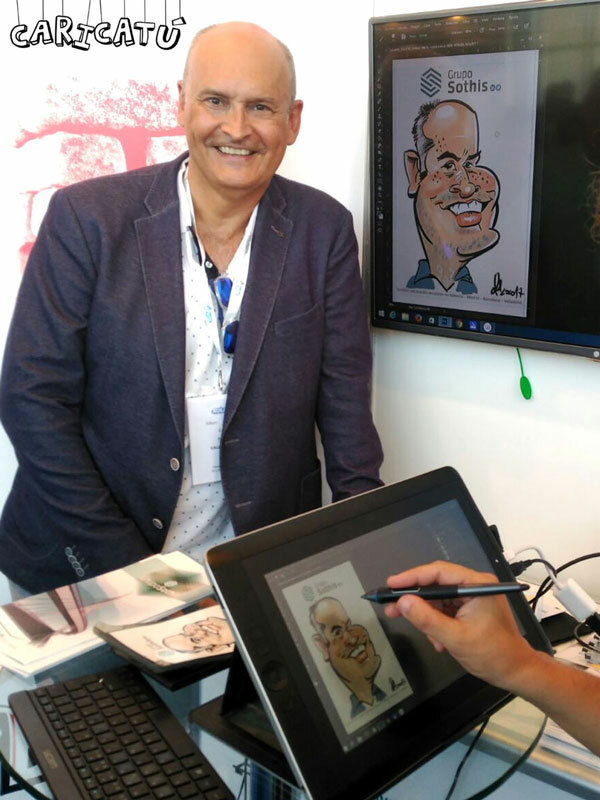 Services in both ink and paper, and digital format (iPad or tablets) for publication in any website or social network instantly. 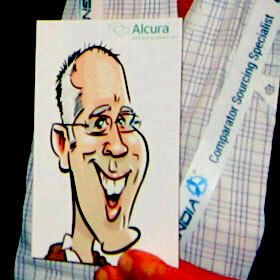 These are some of the companies we have recently worked. 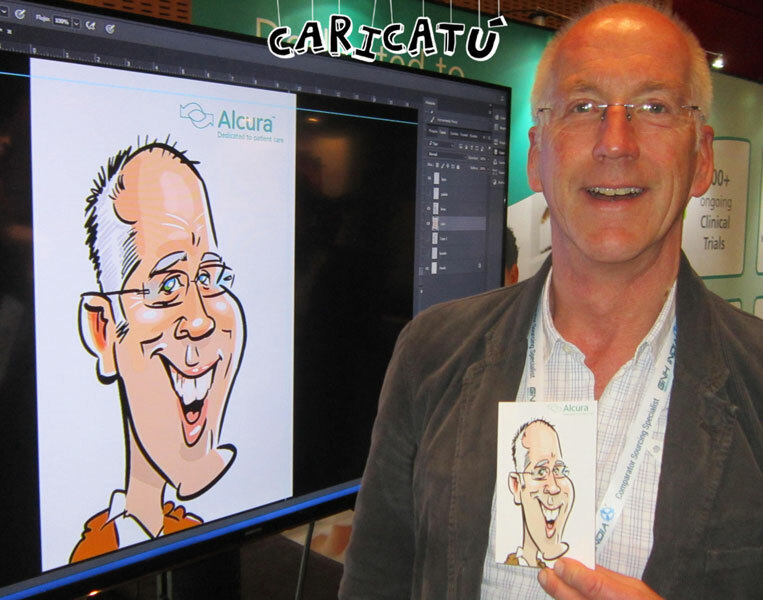 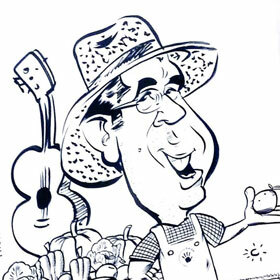 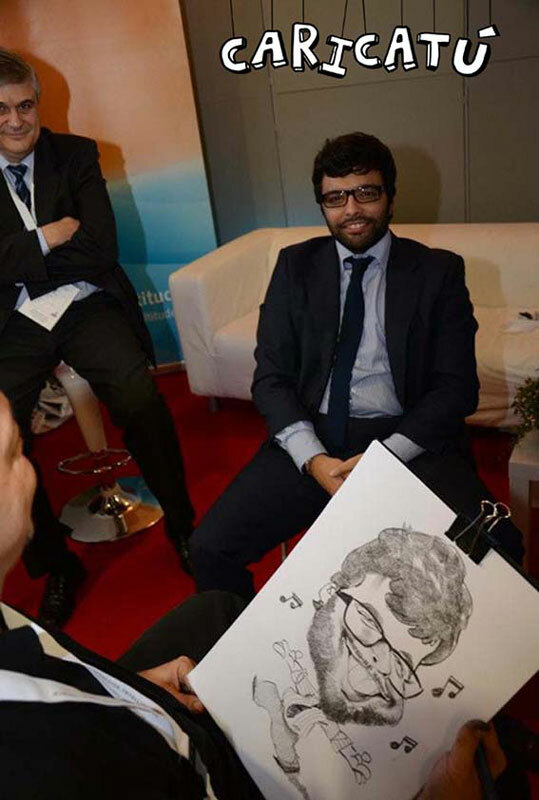 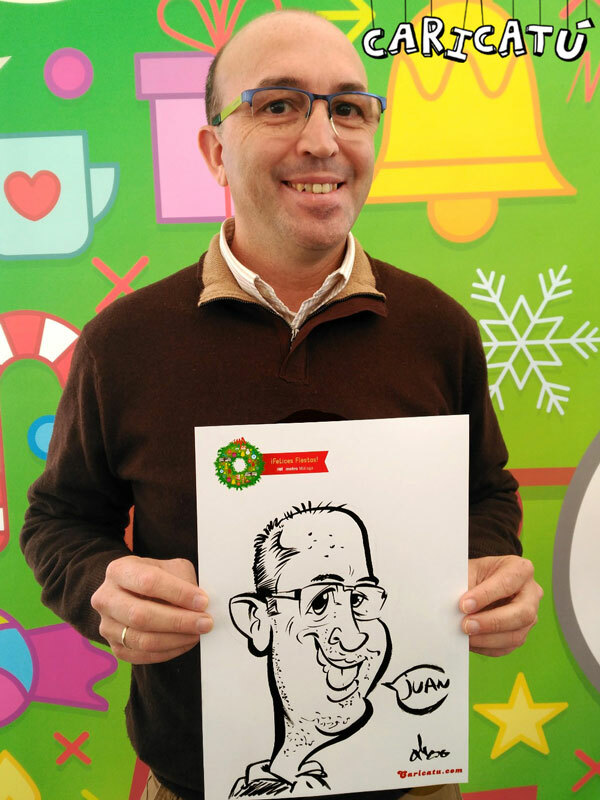 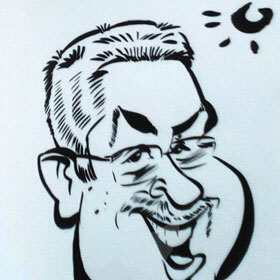 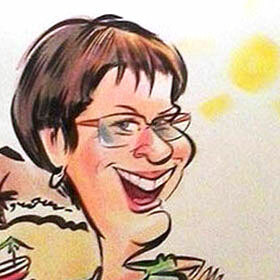 Caricatú has served live events caricatures to companies and individuals around the European Union.